A “Land of Tamil”, Tamil Nadu is situated in the South of India. 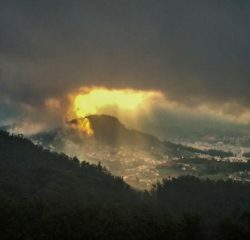 Tamil Nadu has India’s own Queen of Hill Stations Ooty. Ooty is situated in Nilgiri hills. 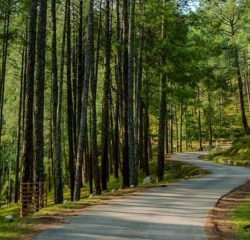 Nilgiri Hills is a host to many of the beautiful hill destinations. Ooty had been the favourite location in Nilgiri of John Sullivan, besides Ooty, there stands a tall glory also has a meaning of Big Hill, Doddabetta. It is 9 km away from Ooty. Doddabetta is a famous tourist attraction in the south from all over India. Being the Highest point in Nilgiri, Dodda gives the full view of Ooty. Doddabetta is situated on the niligiri ranges, it is at the height of 2637 metres. This place is a paradise for views. 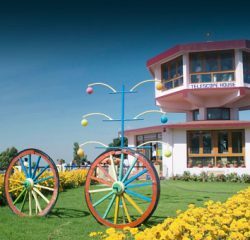 Peak gives you the enchanting view of hills, passing by clouds, plains, terrains, toy trains, lakes and lot more from a peak, the views similar to Switzerland. The green hill rich in flora peak, Doddabetta is a home to many of the natural budding flowers. The peak is flourished with nature wonderful creation, blooming flowers. Doddabetta besides being the highest point is also famous for many of the blooming flowers. Hydrangeas flowers are one of those blooms. Beside Kurinji which blossoms once in twelve years, Hydrangeas also being in rich blue colour keeps the Doddabetta hills blue. The flowers blossom from spring to autumn. The flower has one non-flower bud surrounded by flowering petals. 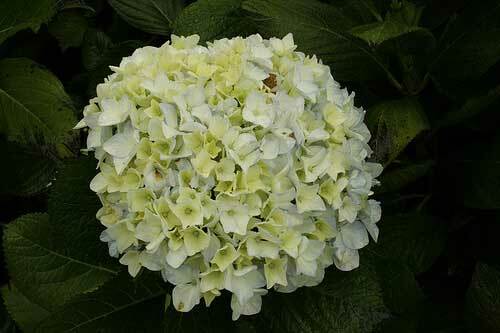 Hydrangeas are enhancing the look of Nilgiri Hills, serving a delight for many eyes. Doddabetta is situated in Nilgiri district of Tamil Nadu in South India. It is fourth highest peak in South India. The peak is a part of Nilgiri range. Doddabetta is at height of 2,637 meters. The peak has a telescope house at top with two installed telescope for public view, opened on 18 June 1983. 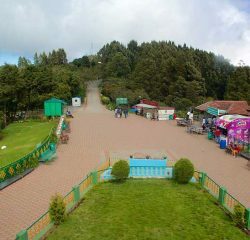 The peak is famous for view of Ooty from Doddabetta.